Are you buried in item numbers? 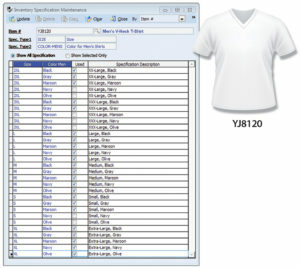 Inventory variances can go through the roof when thousands of item numbers are assigned to keep track of all the possible product “attribute” combinations like size and color. If you sell products with many similar variations and your inventory variance is too high, instead, use matrix inventory to consolidate item numbers and make inventory management much easier. Our clients who were buried in item numbers have typically reduced their inventory complexity by a factor of 100 or more! Inventory is described as a matrix when the products each have multiple attributes and configurations—such as size, color, weight, material, imprint, placement of features, process, finish or packaging. A 2-dimensional or 3-dimensional grid, or “matrix,” would be required to represent all the possible configurations. Orders and inventory counts are prone to errors when companies track thousands of possible combinations as separate items numbers in their inventory management software. A matrix inventory system simplifies this to a manageable number of products by allowing one item number to offer all the product’s attributes and prices for ordering and detailed reporting. 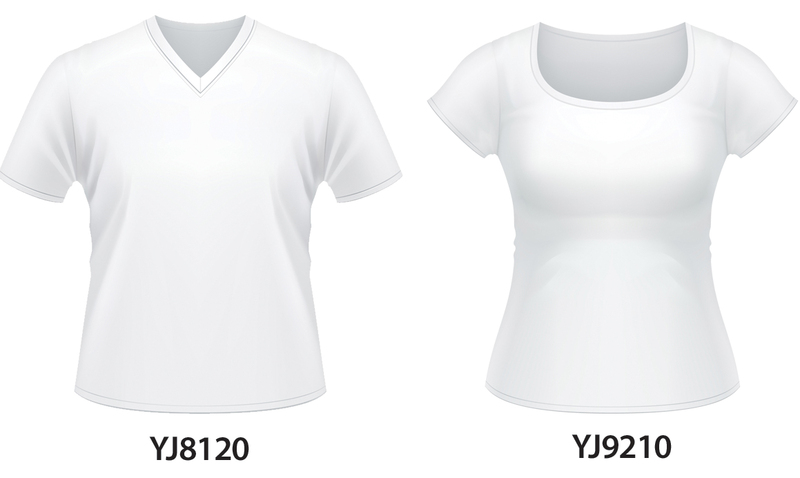 In your inventory system, would these 2 shirt styles be 60 item numbers? Or just 2 easy-to-manage item numbers? Reduce your error rates. When the price or other specification changes for an item, enter the new info once and all variations will instantly update. Improve your service. Give your customers information that’s based on accurate inventory data. Save time. Stop digging through hundreds of item numbers to find the one you need. Make training easier. When you’re creating a purchase order, sales order or customer invoice, the system will prompt users to choose from a list of the item’s valid options. Get better business data. Run reports that group item attributes together so you can analyze sub-categories. Some items don’t easily fit into the more common matrix inventory attribute options like “color + size” found in tools like Microsoft Excel and QuickBooks. Our AccountMate software is really good at flexible matrix inventory options for complex inventories. Do you need advanced attributes for your products? We love working with companies that have unusual attributes. Why? Because those situations often represent large potential cost savings and time savings for our clients. When those attributes can be automated and simplified, it makes a huge positive impact to the company’s business. So don’t be shy about reaching out to us with questions. We can chat about a scalable financial management system that addresses your inventory variances or any complex inventory challenge. An exotic leather tannery needed to improve order fulfillment accuracy for its reptile skins - each of which have numerous unique attributes of size, color, grade, etc. We added these additional elements to each inventory item's definition and they are then validated against the sales order during picking and shipping.